I had no more time for a peaceful cup of coffee, my meditation or journal writing. No time for creativity. Now, with this pre-programmed behavior sequence firmly ingrained, I get to do all these things. And, as I mentioned, it has become a cornerstone for a happy and productive day. I highly recommend that you too start your day with a deliberate, pre-programmed routine. But you are not limited to your first actions upon awakening: installing easy-to-perform habit sequences at a few crucial moments can transform what could become a bad day into a fine one. In his book Atomic Habits, James Clear shows how to design this kind of sequence. He calls it Habit Stacking. He advises Habit Stacking as one fundamental method for establishing productive and beneficial habits and replacing toxic behaviors that are likely to steal your time and derail your day. There are plenty more great methods in the book. According to Clear, every day, we spend about 40 to 50 percent of our time following habits—behaviors that run on autopilot and are triggered by cues in our environment or internally by subconscious memory associations. Habits make it easy to perform routine tasks and simplify our day. Just imagine you would have to plan precisely how to brush your teeth every day. No need for that. You brain has the steps stored and now you have the capacity to think about something different while brushing. But if about half of our day is occupied by habitual behaviors, we had better make sure that our automatic behaviors are the ones that serve us best. Suppose I still fail at times and browse 65 days a year. That frees 300 x 30 min = 150 hours per year of my time. A work week has 40 hours, so I could take almost four weeks off and go on a holiday or spend time with my family and friends. I see my iPad (cue) and want to check Twitter (desire). I pick up the iPad (response), open Twitter, and start reading my feed (response). The reward is that I feel relaxed and don’t have to get up right away and face the difficulties of the new day. That would take a lot more energy. I also get to satisfy my curiosity. However, I consider this checking addiction mostly a bad habit. I will use Twitter several more times during the day in a more productive way. It also steals from my coffee-drinking and meditation time and thus it steals happiness and creative ideas. For each of the four steps in his model, James Clear suggests a “Law” to install a good habit. Reverse the law to break a bad habit. Make the actions and cues of a good habit obvious. Make the habit attractive (desire). Make it easy to perform the habit (response). Make your habit satisfying (reward). You don’t have to focus on all four laws to create a new habit and break a bad one. In my morning ritual above, I just focused on making it obvious and an easy response. 1. I anchored the desired new behavior to something I already do: After waking up, I sit up on my bed. Prior to this intention, it was fuzzy, i.e., not obvious, what I was supposed to do first after waking up, so browsing my iPad was permissible. Now I have a clear instruction telling me what to do first. 2. I wrote down the complete habit stack I want to perform after waking up and mentally went through it a few times. 3. 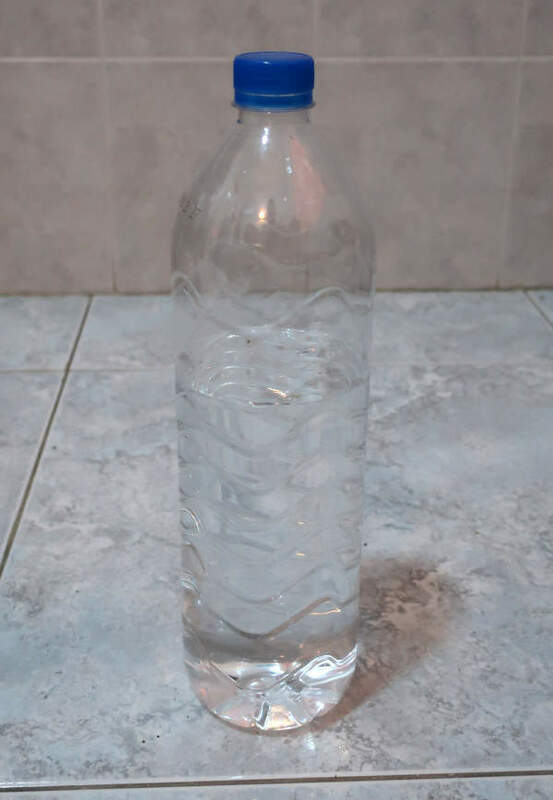 Every evening, I put a bottle of water right to the side of my bed. This makes the next step in the sequence obvious and the response easy: I see the water bottle and pick it up. As you can imagine, my electric razor is not far either. Now you won’t find this particular habit sequence in the book. This is just my personal design based on what I have read. Atomic Habits is an easy read and an implement-it-now guidebook. I very much like that I could act right away, without reading the whole book. Reading the chapter on how to make a good habit obvious, I immediately designed my morning routine and started practicing it. The satisfaction I got from this made me want to read more. By the time I finished the book, I already had plenty of personal experience with habit design. With many productivity books, including classics like Getting Things Done (GTD), you first have to digest and memorize a complete system. Don’t get me wrong, GTD is an absolute must-read, but many people don’t even get on the wagon when faced with too much complexity to begin with. Not so with this one: James Clear’s book is simple and straight-forward: it makes habit design easy. I also enjoyed the comprehensive notes; they are easy to follow and use. I made an effort to read every one of them because they contained so much helpful information. By following the linked notes you can fill your reading-list with plenty of interesting articles and read more on the origins of each technique. Clear doesn’t claim to have invented all the techniques in his book but rather to offer an effective, actionable framework that is easy to remember. In my opinion, he clearly hit the mark! 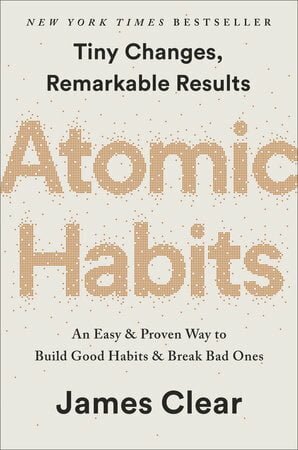 If you often find yourself procrastinating, getting lost in cyberspace, or losing control of your day, I highly recommend Atomic Habits. I didn’t find many negatives in the book, except for some unanswered questions in the section Advanced Tactics. Don’t get me wrong; he should keep the section, but it needs more meat. He raises a few fundamental questions that should be addressed, but he doesn’t quite answer them. “You have to fall in love with boredom.” OK, but how? Boredom is such a prevalent experience in many people’s jobs, studies and lives that it needs more coverage. In a way, James has answered this question to some degree in previous chapters: Good habits reinforce your identity. They lead to little successes (rewards) that become addictive and allow you to plow through a substantial amount of boring work lying ahead in every endeavor. But, consider this a minor point of criticism towards a very helpful book. We spend about half of our day on autopilot, performing habitual actions, so we had better make sure these habits serve us well. James Clear’s Atomic Habits introduces a practical, easy-to-use framework for installing good habits that make us more productive and happier and for breaking bad habits. To create a good habit, make it obvious, attractive, easy, and satisfying. To break a bad habit, make it invisible, unattractive, difficult, and unsatisfying. I recommend this book to anyone who is looking to get more control over their day and improve their performance and productivity. The book is easy to understand but its effects can be profound. This entry was posted in Productivity and tagged book-review, mental performance, performance by Helmut. Bookmark the permalink.